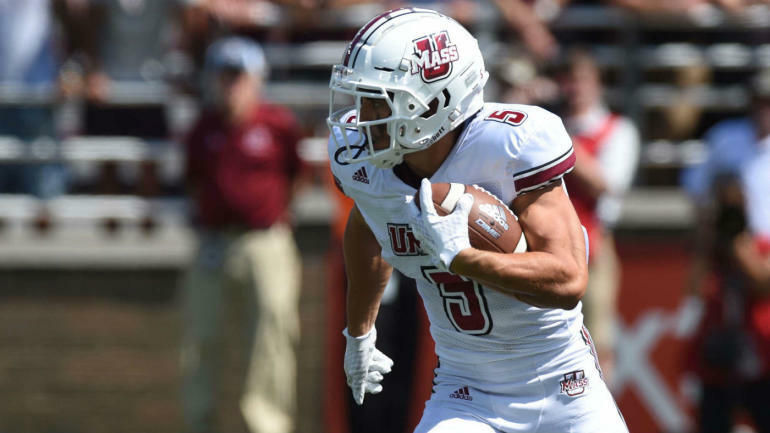 The Steelers have a big hole to fill after parting ways with Antonio Brown, but could they actually fill it with a 5-foot-8 receiver out of UMass? While it may not sound like a perfect fit, Ryan Wilson believes targeting Andy Isabella could turn out to be a great Steelers strategy. “(Georgia cornerback) Deandre Baker called Isabella the toughest receiver he’s faced in his career,” Wilson said, pointing out that Isabella ran a 4.3 at the combine. Meanwhile, there’s been plenty of pre-draft talk about the Bengals possibly finding their future at quarterback, with some of our own mock drafts predicting they’ll go that route, but is that the best strategy, or is it to continue to ride with Andy Dalton? John Breech says Cincy simply didn’t give its QB a chance, and has more pressing needs than quarterback. The guys also talk Ravens (who can name four Baltimore receivers?) Browns (could they really trade back into Round 1) and all the latest NFL news and notes. You can listen to the full podcast below, and then subscribe to hear all the latest draft insight and much more.